Before protein came in bars, it came in foods – no newsflash here but besides eggs, meats and yogurt, do you know where to get protein? 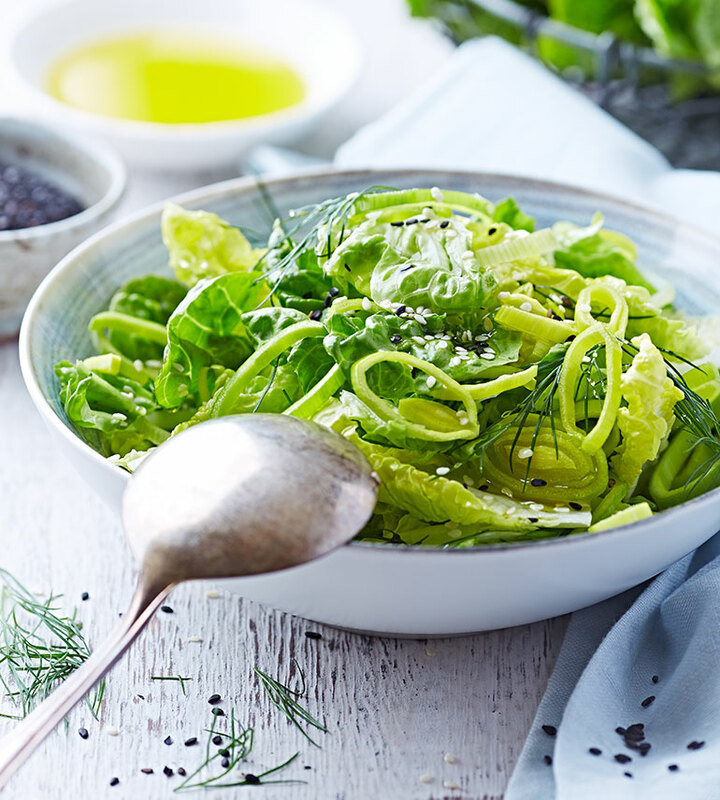 No need to rack your brain: we take you through the nutritional benefits of meat-free and dairy-free protein sources and show you helpful prepping tips to make the most out of these nutrient powerhouses. If you’re a meat eater, know that this article isn’t only for vegans and vegetarians! 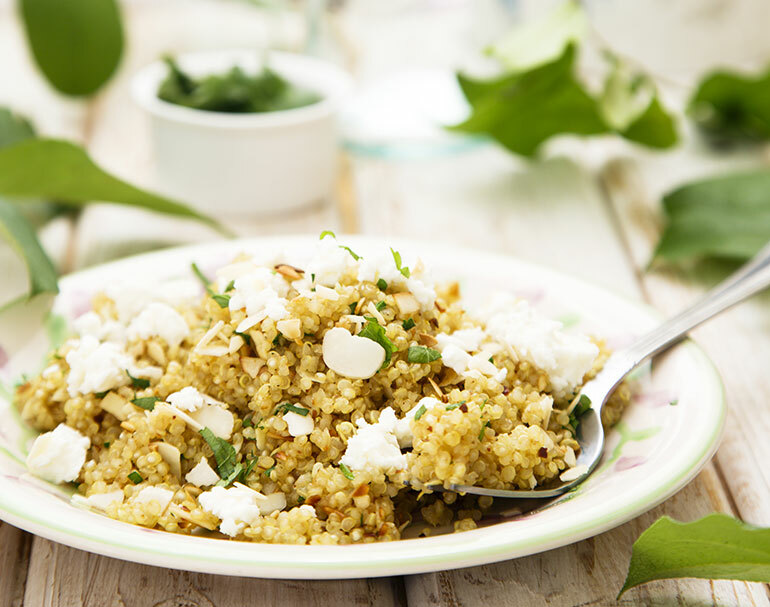 Meat-free protein foods are packed with lots of nutrients and make delicious additions to any meal. Incredibly, a 3/4 cup of peas (about 100-calories) boasts more protein than a whole egg or a tablespoon of peanut butter. Peas (and beans) are rich in resistant starches that cannot be digested by the human body and act as prebiotic food for the friendly bugs that colonize our intestines. When these bacteria feed on the resistant starches, they produce short-chain fatty acids that have been shown to improve intestinal health and promote mineral absorption in the body 2, 3. Eat peas raw, steamed, boiled (for about 5 minutes with as little water as possible to retain as much nutrients as possible), sautéed, steamed (1 – 2 minutes if shelled; 2 -3 minutes if in a pod) or blanched. Add sweet green peas in green salads, egg or chicken salad, soups, and risottos, . Steam or sauté sweet green peas with mushrooms and pearl onions for a delicious side dish. 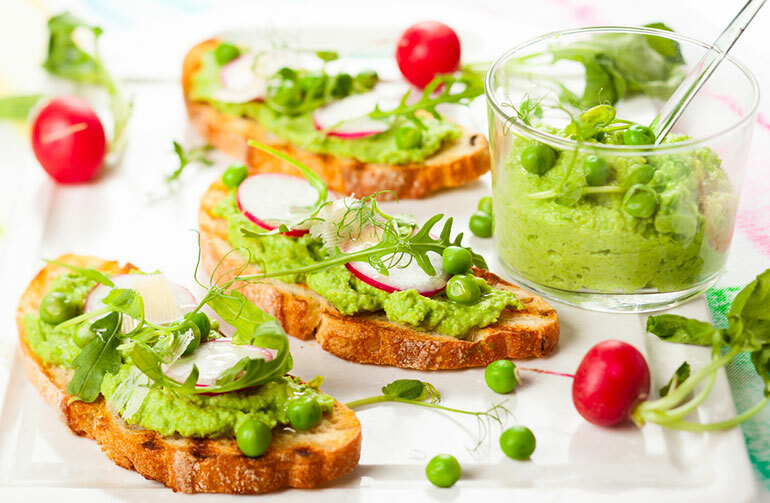 For a wonderful starter try pea crostini. Store fresh, unwashed peas in an unsealed container or perforated bag in the refrigerator for up to 3 days to preserve texture and nutrient content. To store peas for more than three days, blanch and freeze them. To blanch, simply placepeas into boiling water for 1 – 2 minutes and then immerse them in cold water. 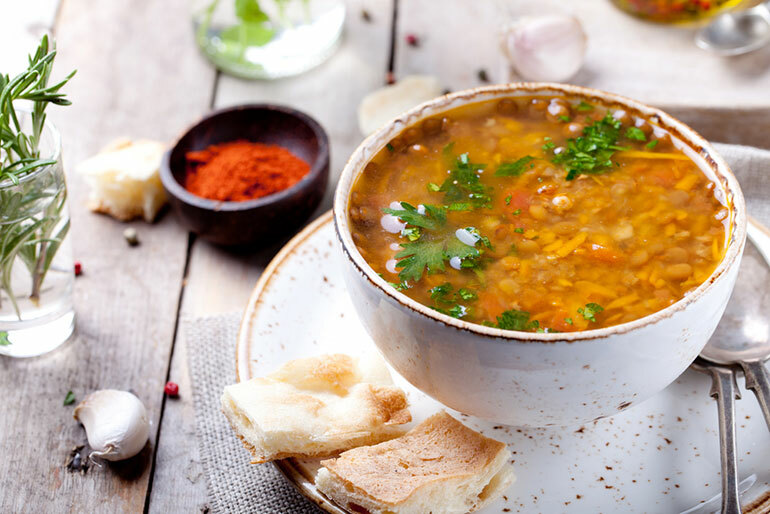 With their abundance of phytochemicals, vitamins, minerals, resistant starch and dietary fiber, lentils have been shown to be cancer-protective. According to various studies lentils can help reduce the risk of breast cancer 4, colon cancer 5, as well as cancers of the mouth/throat, esophagus and larynx 6. Research also suggest that a diet rich in lentils can help prevent metabolic syndrome 7, shrink waistlines,8 reduce the blood pressure 9, increase HDL cholesterol by 4.5% 10, and lower the risk of cardiovascular disease11. For a super very easy and massively tasty dish, just mix some cooked lentils with cooked rice, and add in your favorite spices. Serve with cooked vegetables for a balanced meal. Lentils pair with veggies to make a delicious cold salad. Green lentils hold their shape (as opposed to most red, yellow, and orange lentils) are especially good for salads. Lentils have quite a mild flavor, so they’re great to pair them with strong spices, such as garlic, chilies, cumin, turmeric or cardamom. Lentils are only available dried, and so keep extremely well, with an indefinite shelf-life. Simply keep in an airtight container and store in a cool, dry place. Also super easy to prepare, lentils do not need to be presoaked unlike other legumes. Simply rinse lentils off in cool water before cooking. Cooked lentils can be kept in the refrigerator around 3 days in a sealed container and may also be frozen up to six months. Thanks to their potent free-radical scavenging properties, beans can help combat heart disease by significantly reducing blood pressure 12 and preventing LDL oxidation and thus the formation of arterial plaque 13. The legumes can even help to control diabetes: in one study, participants who consumed 50g of beans exhibited a 45% lower increase in blood glucose levels compared to when they ate grains, breads, pasta, and breakfast cereals 14. The researchers believe this is due to the soluble fibers and resistant starches present in beans. Beans are also rich in vitexin and isovitexin 15, two substances which may help prevent diabetic complications of kidney dysfunction and blindness 16. Studies also suggest that beans can suppress the growth of human cancer 17. And if you’re trying to lose weight, don’t forget to include beans in your diet. Besides being rich in protein and fiber, beans can also enhance weight loss by increasing levels of the satiety hormone cholecystokinin 18. 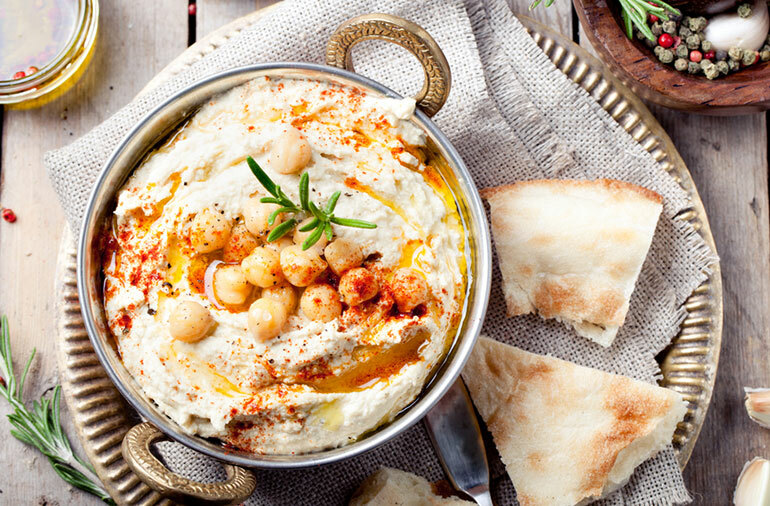 For a a quick and easy hummus spread just place cooked/ canned chickpeas, olive oil, fresh garlic, tahini, salt and lemon juice in the food processor and blend until mixture is combined and smooth. 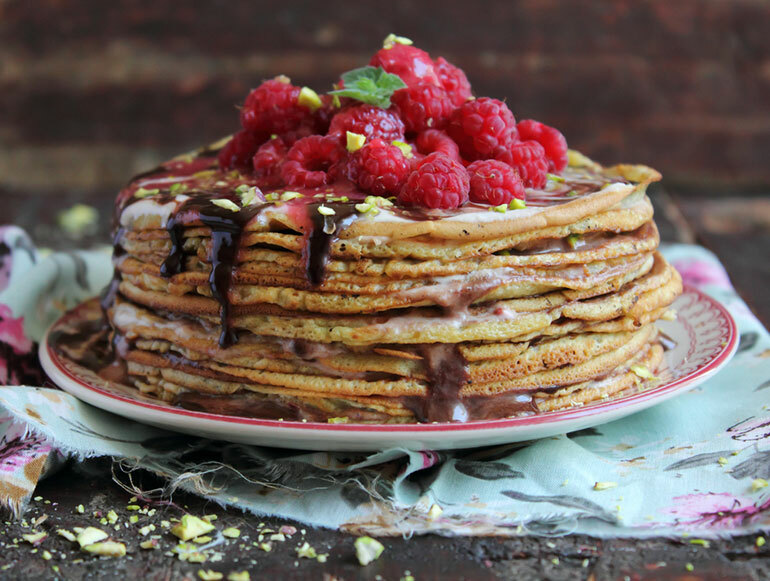 Chickpea flour is a great wheat alternative that’s gluten-free and bursting with protein. 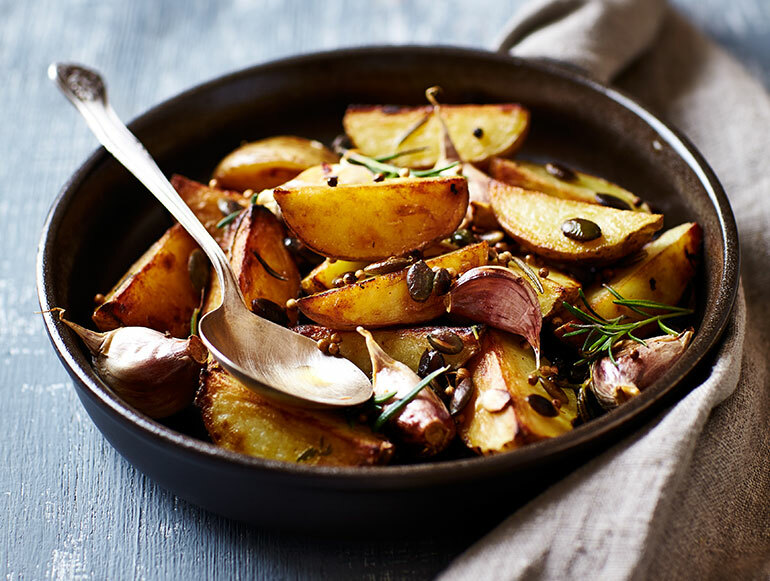 Top a stuffed baked potato with black beans and some of your other favorite toppings. Make a colorful three bean salad with cooked kidney beans, black beans and white beans. Use kidney beans in place of ground meat to make tacos with a vegetarian twist. Soak canned beans for 15 minutes in cold water to remove excess salt and to make the legumes easier to digest. Canned legumes require no cooking and can be added directly to dishes. While dry beans may be less convenient, they are not only tastier but more nutritious too! To speed up cooking and facilitate digestion, allow beans to soak overnight in cold water. To cook soaked beans simply drain, rinse and cover with fresh water or stock. Bring to a boil, then reduce heat to low and simmer for 60 to 90 minutes. if using a pressure cooker soaked beans will take about 30 minutes until cooked. Don’t forget to skim off any skin or foam that forms on the surface. What’s the difference between peas, beans and lentils? Beans, peanuts, peas and lentils are all legumes – seeds that grow in pods. The difference lies in their nutritional content and shape: beans such as pinto, kidney, red, black, navy, mung, garbanzo, cannellini and broad beans are oval shaped; peas are round whereas green, red, black and brownish-yellow lentils are shaped like tiny discs. Peanuts boast a lovely warm flavor and add great crunch to tossed salads. Peanuts pair well with Asian cuisine, and are easy to add to a vegetable stir-fry. Everyone loves peanut butter, but skip the peanut butter and jelly sandwich, and try peanut butter & banana, peanut butter & honey, or peanut butter and chopped fruit (e.g. strawberries, apples, pears). To make your own natural peanut butter, put the peanuts in a food processor and grind until buttery and you’ve achieved the desired consistency (smooth or chunky?). This famous nut is a terrific source of copper, riboflavin magnesium, manganese and phosphorus. It is also loaded with the antioxidant vitamin E. The Nurses’ Health Study indicated that swapping carbs for an equivalent of almonds on an average diet can decrease the risk of heart disease by 30% and that of pancreatic cancer by a whopping 35% 20! Place a handful of almonds in your morning smoothie to make your smoothie more filling and nutritious. To really enhance their nutty flavor toast almonds in a dry skillet over a medium-high heat, stirring, for about 3-5 minutes, until golden and fragrant. Coarsely grind almonds in a food processor to make non-bread “breadcrumbs”. Use as a topping for casseroles or as the breading for fish or chicken. You can store an unopened package of almonds for up to 2 years in a cool, dark place. Once opened, store almonds in an airtight container in the refrigerator and use within three months. To make sure they’re fresh, check for almonds for rancidity. Simply cut an almond in half. The almonds should be solid and white inside, if they have a yellow tinge or a honeycomb texture, discard them. Almond flour adds moistness and a wonderful nutty flavor to baked goods, making it a delicious option for gluten-free, grain-free or low-carb baking. Did you know that cashew nuts may help those with diabetes? Researchers have found that the nuts contain a substance (anacardic acid) which can significantly stimulate absorption of blood glucose by muscle cells 21. In doing so, the active compounds in cashew nuts may help protect diabetics against deterioration of insulin resistance. Cashews make a great topping on hot cereals with a little bit of maple syrup. 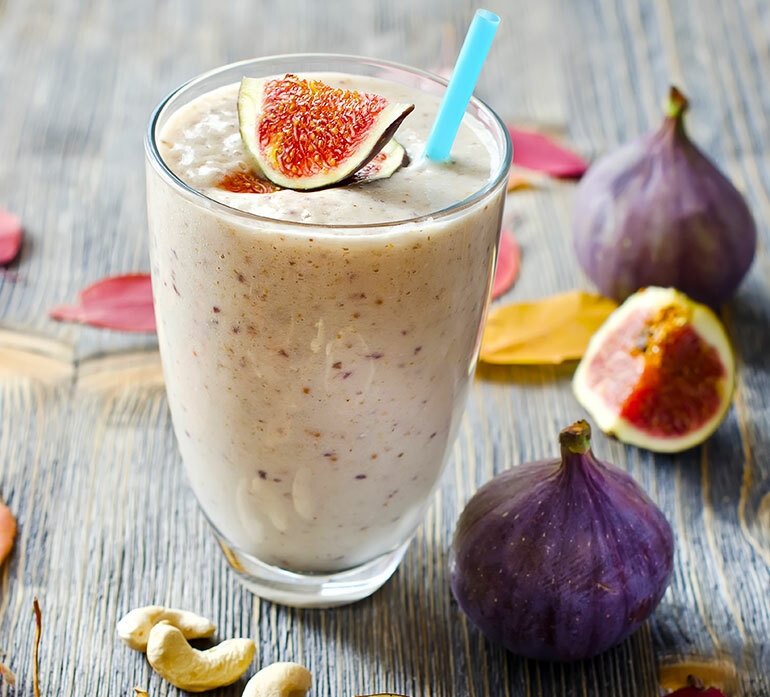 Add cashew butter to breakfast smoothies to make them more satisfying, nutritious and give smoothie a creamy nutty taste. Cashews are highly perishable and can quickly turn rancid. Store cashews in an airtight container in the fridge where they can last up to 6 months. Cashews may also be frozen for up to 1 year. 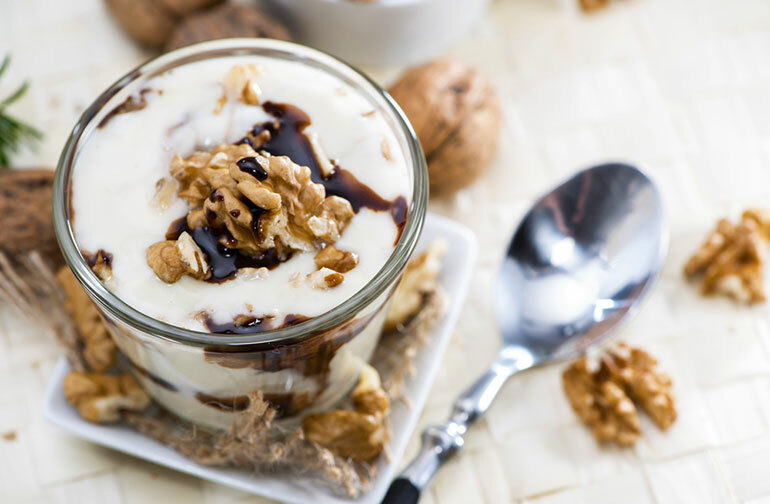 Each walnut you crack open is jam-packed with vitamins, various antioxidants and omega-3 fatty acids; nutrients that play together to enhance cognitive function and reduce risks of clots or heart attacks 26. Add walnuts to smoothies, salads, pastas or breakfast cereals. Instead of pine nuts, add walnuts in pesto recipes. Finely chop walnuts for crusting fish or poultry before sautéing or baking. Keep shelled walnuts in an airtight container and refrigerated, and they’ll last for approximately 2 – 3 months; frozen, they’ll keep for up to one year. 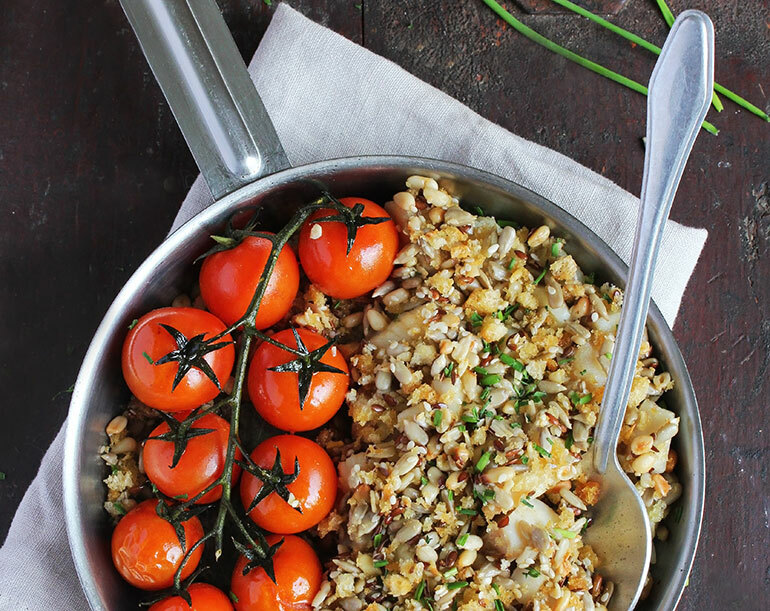 To crush walnuts, simply place them between parchment (or wax paper) and put crush them with something heavy such as as the bottom of a small sauté pan. Rich in healthy fats, flavonoids, polyphenols and non-wheat fibers, these nuts can have a beneficial on blood pressure provided they are consumed raw 22. But that not all, pecans may also help prevent breast and prostate cancer 23, while the selenium in Brazil nuts has been shown to reduce risks of cancer and heart disease, improve sperm health and maintain an efficient immune system 24. Unlike other nuts, pistachios are rich in lutein and xeazanthin, two carotenoids known to protect the eyes against age-related macular degeneration 25. 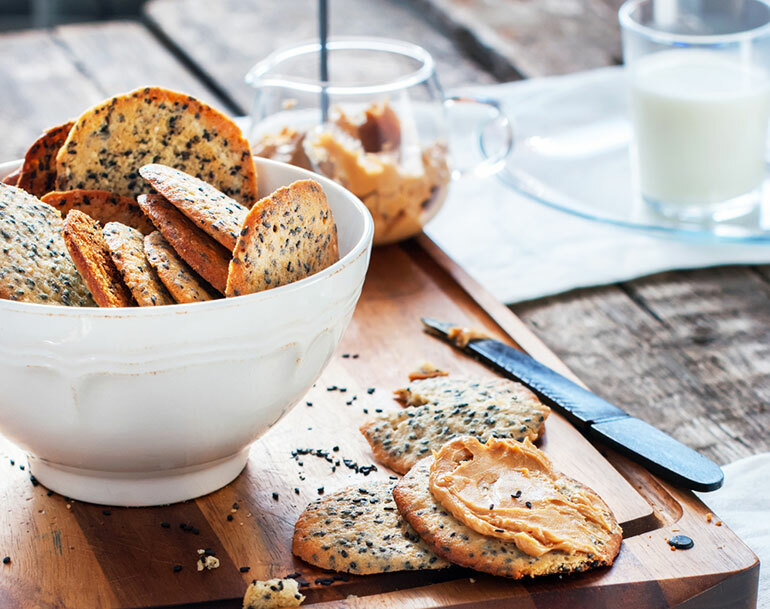 Nut butters are an easy (and yummy) way to include nuts in your diet – you can use these butters as a spread, to thicken up sauces or in smoothies – but you may want to avoid commercial versions that are loaded with sugar, vegetable oil and salt. Choose 100% natural nut butters or make your own. To get the most out of peanuts and nuts, avoid those which are oil-roasted or covered with salt, sugar or honey – not only do these contain more calories from fat and sugar, but when nuts and peanuts are exposed to high temperatures during processing, the delicate MUFAs they contain are partially destroyed. Plus hydrogenated oils are often used to roast nuts – these oils are known to increase blood pressure and lipid levels. If you’re worried that eating nuts will ‘land’ on your hips, you’ll be relieved to know that, according to studies, individuals who regularly consume nuts are at a slightly lower risk of gaining weight or becoming obese compared to those who rarely or never consume nuts 19. That’s probably because nuts have a unique nutrient profile: they’re rich in healthy fats, protein and fiber; the three musketeers that can help suppress appetite. Recognized for its health benefits as far back as 4000 years ago, flaxseed is rich in omega-3 fatty acids, phytoestrogens, soluble and insoluble fiber. These little seeds can help protect against heart disease: in one study, postmenopausal women were given 30g (about 4 tablespoons) of flaxseed daily for three months – their total cholesterol levels fell by about 7% while their LDL-cholesterol levels decreased by 10% 27. In another study, participants were given a low fat diet supplemented with 20g (about 3 tablespoons) of flaxseed daily for two months. Their total cholesterol levels fell by 17%, LDL-cholesterol levels dropped by 4%, and triglycerides plummeted by 36% 28. A low fat diet plus a statin drug showed similar improvements in total cholesterol and LDL-cholesterol levels 28. Consumption of 25g of flaxseed daily may also help reduce tumor growth in breast cancer patients while increasing the rate of cancer cell death 29. Flaxseed may help avert prostate cancer 30. Rich in phytoestrogens, flaxseed may offer some relief to women suffering from hot flashes – consumption of 40g of flaxseed daily was associated with 50% reduction in hot flashes 31. Use flaxseeds as an egg replacement in vegan baking. It’s easy! Just mix ground flaxseeds with water and use instead of the eggs called for in recipes. For the equivalent of one egg, soak 1 tablespoon ground flaxseeds in 3 tablespoons warm water for at least five minutes. Instead of using whole flaxseed, grind your own. Whole flaxseed will pass right through you as we cannot digest the seeds whole. Another reason to grind flaxseeds at home is that ground flaxseed goes rancid faster than whole flaxseed, and the ground flaxseed at the grocery store may be already have gone bad. While the healthy fats in flaxeeds are anti-inflammatory and cardio-protective, the oxidized fats in rancid flaxseed may have the opposite effect! If you do by ground flaxseed in an airtight container in the fridge to prevent it from oxidizing and turning rancid. Sesame seeds are so much more than just a nutty topping on a bun – research indicates that consuming 40g of sesame seeds for 4 weeks can help reduce total cholesterol and LDL levels by 6.4% and 9.5% respectively 32. The seeds are also rich in gamma tocopherol and lignins; compounds that have been shown to exert protective effects against hormone-related conditions such as breast cancer 33. Sesame seeds have a delightfully light flavor and add a subtle crunch to dishes. Sprinkle them into stir-fries, vegetables, and noodles; over fruit and nut snacks; or coat bread sticks by rolling them in toasted sesame seeds before baking. Create dishes with a rich nutty flavor, and add toasted sesame seeds to homemade bread, muffins or cookies. Or go for tahini (sesame seed paste with a consistency similar to peanut butter) and spread it on toast, use as a dip, make a tahini-based salad dressing, or stir into soup to thicken. Pumpkin, sunflower, sesame and flax seeds are all rich in magnesium – this mineral is not only vital for the heart’s health, but it is also required to ward off depression, anxiety, chronic fatigue, heightened muscle tension and restless leg syndrome. Like nuts, seeds get bad rap for fat content and while it’s true that seeds contain a significant amount of fat, this fat is heart healthy and has been shown to decrease LDL-cholesterol and triglyceride levels. As part of a healthy lifestyle, seed consumption can reduce the risks of metabolic syndrome, heart disease and type 2 diabetes 26. Simmer whole seeds, ground seeds, or sunflower seed butter in stock and then blend smooth. 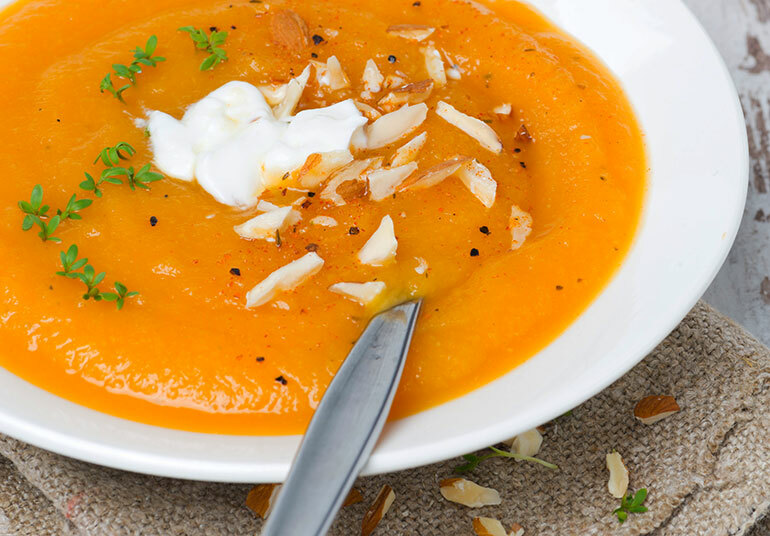 Then stir into soups or stews to add a thick, creamy texture without using dairy or flour. Sprinkle ground seeds on cereal, yogurt, steamed vegetables, and salads. You can also add seeds to anything you bake (such as muffins, meat loafs or breads), in stir-fries or use them as a coating for fish and chicken. In some circles soy’s got a bad name. Asians have been consuming soy for thousands of years, so it can’t be all bad right?! While it’s true that soy and soy derived products are often not quite as healthy as you might think, much of that criticism is directed at unfermented and processed soy products. Soybeans naturally contain numerous “antinutrients” such as phytates, goitrogens, and phytoestrogens. Traditionally soy products in Asia are unprocessed and fermented, which destroys the antinutrients. The fermentation process increases the digestibility of soy and nutrient absorption from soy, allowing the body to reap it’s nutritional benefits. Alas, in the US we mostly consume unfermented, highly processed soy, such as soymilk and texturized vegetable protein (TVP – often found in vegetarian or vegan versions of traditionally meat-based dishes). Tofu is also processed, but to a lesser degree than soymilk and TVP. Traditionally fermented soy products include natto, miso, tempeh and tamari (a type of soy sauce). Tempeh is firmer than traditional tofu and has great texture, making it a great replacemnt for meat in sandwiches, burgers, and stir-fries. Alone, tempeh can to be quite bland, but like tofu, it loves a good marinade. Even a quick dash of soy sauce will work wonders to heighten the flavors of your dish. Unlike many meat substitutes, seitan (say-than) isn’t derived from soy but it’s made from wheat gluten simmered in soy sauce or tamari, ginger, garlic, kombu (seaweed) and salt. So is seitan healthy? Well, the jury is still out on this one. Made from wheat gluten, the concern is that consuming a lot of gluten may trigger the development of a more severe gluten intolerance especially when less than 1 out of 8 individuals with celiac disease are aware of their condition. If you’re gluten intolerant, wheat sensitive or eat whole foods only, seitan isn’t for you. Seitan a.k.a. “wheat meat” has the texture of a piece of chicken or beef and looks eerily similar. 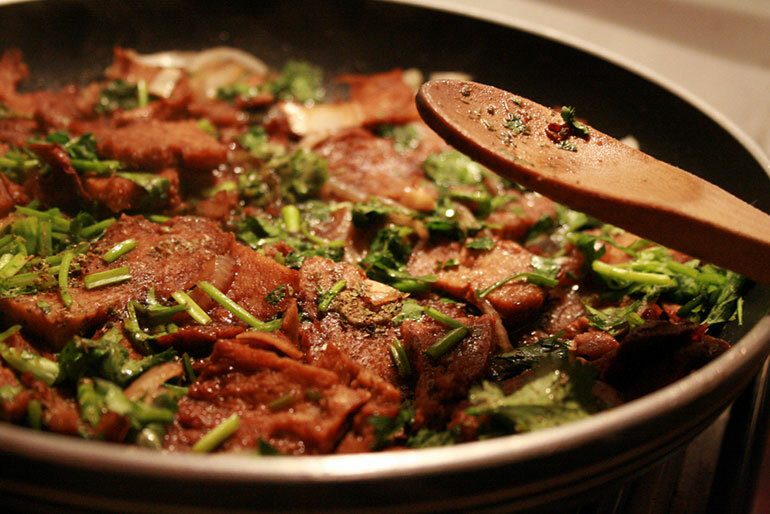 In terms of flavor, seitan is a culinary chameleon and soaks up flavor of anything you prepare it with. Steer clear of the commercial ones since they’re laden with sodium – about 170 to 320mg per 3-oz portion. Seitan is quite easy to prepare from scratch – you’ll only need some wheat gluten, sauce and seasonings. O’Byrne, D. J., Knauft, D. A., & Shireman, R. B. (1997). Low fat-monounsaturated rich diets containing high-oleic peanuts improve serum lipoprotein profiles. Lipids, 32(7), 687-695. Trepel F. (2004) Dietary fibre: more than a matter of dietetics. I. Compounds, properties, physiological effects. Wien Klin Wochenschr; 116(14):465-76. Weaver CM, Heaney RP, Martin BR, Fitzsimmons ML. (1991) Human calcium absorption from whole-wheat products. J Nutr.;121(11):1769-1775. Adebamowo CA, Cho E, Sampson L, et al. (2005) Dietary flavonols and flavonol-rich foods intake and the risk of breast cancer. Int J Cancer.;114:628-33. Aune D, De Stefani E, Ronco A, et al. (2009) Legume intake and risk of cancer: a multisite case-control study in Uruguay. Cancer Causes Control.;20(9):1605-15. Singh PN, Fraser GE. (1998) Dietary risk factors for colon cancer in a low-risk population. Am J Epidemiol. ; 148(8):761-74. Hosseinpour-Niazi S, Mirmiran P, Amiri Z, Hosseini-Esfahani F, Shakeri N, Azizi F. Legume intake is inversely associated with metabolic syndrome in adults. Arch Iran Med. 2012 Sep;15(9):538-44. Venn BJ, Perry T, Green TJ, et al. The effect of increasing consumption of pulses and wholegrains in obese people: a randomized controlled trial. J Am Coll Nutr. 2010 Aug;29(4):365-72. Hermsdorff HM, Zulet MA, Abete I, Martinez JA. A legume-based hypocaloric diet reduced proinflammatory status and improves metabolic features in overweight/obese subjects. Eur J Nutr. 2011;50:61-9. Mollard RC, Luhovyy BL, Panahi S, Nunez M, Hanley A, Anderson GH. Regular consumption of pulses for 8 weeks reduces metabolic syndrome risk factors in overweight and obese adults. Br J Nutr. 2012 Aug;108:S111-22. Jenkins DJ, Kendall CW, Augustin LS, et al. (2012) Effect of legumes as part of a low glycemic index diet on glycemic control and cardiovascular risk factors in type 2 diabetes mellitus: a randomized controlled trial. Arch Intern Med.:1-8. Chung IM, Yeo MA, Kim SJ, Moon HI. Protective effects of organic solvent fractions from the seeds of Vigna radiate L. wilczek against antioxidant mechanisms. Hum Exp Toxicol. 2011 Aug;30(8):904-9. Hsu GSW, Lu YF, Chang SH, Hsu SY. (2011) Antihypertensive effect of mung bean sprout extracts in spontaneously hypertensive rats. J Food Biochem. ; 35(1): 278-88. Jenkins DJ, Wolever TM, Taylor RH, Barker HM, Fielden H. (1980) Exceptionally low blood glucose response to dried beans: comparison with other carbohydrate foods. Br Med J.; 281(6240):578-80. Peng XF, Zheng ZP, Cheng KW, Shan F, Ren GX, Chen F, Wang MF. (2008) Inhibitory effect of mung bean extract and its constituent’s vitexin and isovitexin on the formation of advanced glycation endproducts. Food Chem. ; 106(2):475-81. Peppa M, Vlassara H. (2005) Advanced glycation end products and diabetic complications: a general overview. Hormones; 4(1):28-37. Hafidh RR, Abdulamir AS, Bakar FA, et al. (2012) Novel molecular, cytoxical, and immunological study on promising and selective anticancer activity of Mung bean sprouts. BMC Complimentary & Alternative Medicine; 12:208. Bourdon I, Olson B, Backus R, et al. (2001) Beans, as a source of dietary fiber, increase cholecystokinin and apolipoprotein b48 response to test meals in men. J Nutr.;131(5):1485-90. Bes-Rastrollo M, Wedick NM, Martinez-Gonzalez MA, Li TY, Sampson L, Hu FB. (2009) Prospective study of nut consumption, long-term weight change, and obesity risk in women. Am J Clin Nutr. ; 89(6):1913-1919. Tedong, L., Madiraju, P., Martineau, L. C., Vallerand, D., Arnason, J. T., Desire, D. D., … & Haddad, P. S. (2010). Hydro‐ethanolic extract of cashew tree (Anacardium occidentale) nut and its principal compound, anacardic acid, stimulate glucose uptake in C2C12 muscle cells. Molecular nutrition & food research, 54(12), 1753-1762. Babio N, Bulló M, Salas-Salvadó J. (2009) Mediterranean diet and metabolic syndrome: the evidence. Public Health Nutr. ; 12(9A):1607-17. Wu, X., Beecher, G. R., Holden, J. M., Haytowitz, D. B., Gebhardt, S. E., & Prior, R. L. (2004). Lipophilic and hydrophilic antioxidant capacities of common foods in the United States. Journal of agricultural and food chemistry, 52(12), 4026-4037. Radcliffe, J. D., DiMarco, N., & Hernandez, L. (2008). The Effect of Consuming Pistachios on the Serum Concentration of Lutein and Zeaxanthin (L/Z). Journal of the American Dietetic Association, 108(9), A57. Patade A, Devareddy L, Lucas EA, Korlagunta K, Daggy BP, Arjmandi BH. (2008) Flaxseed reduces total and LDL cholesterol concentrations in Native American postmenopausal women. J Womens Health (Larchmt). ; 17(3):355-66. Mandasescu S, Mocanu V, Dascalita AM, et al. (2005) Flaxseed supplementation in hyperlipidemic patients. Rev Med Chir Soc Med Nat Iasi. ; 109(3):502-6. Thompson, L. U., Chen, J. M., Li, T., Strasser-Weippl, K., & Goss, P. E. (2005). Dietary flaxseed alters tumor biological markers in postmenopausal breast cancer. Clinical Cancer Research, 11(10), 3828-3835. Hedelin, M., Klint, Å., Chang, E. T., Bellocco, R., Johansson, J. E., Andersson, S. O., … & Bälter, K. A. (2006). Dietary phytoestrogen, serum enterolactone and risk of prostate cancer: the cancer prostate Sweden study (Sweden). Cancer Causes & Control, 17(2), 169-180. Pruthi S, Thompson SL, Novotny PJ, et al. (2007) Pilot evaluation of flaxseed for the management of hot flashes. J Soc Integr Oncol.;5(3):106-12. Nakano D, Kwak CJ, Fujii K, et al. (2006) Sesamin metabolites induce an endothelial nitric oxide-dependent vasorelaxation through their antioxidative property-independent mechanisms: possible involvement of the metabolites in the antihypertensive effect of sesamin. J Pharmacol Exp Ther. ; 318(1):328-35. Liu, Z., Saarinen, N. M., & Thompson, L. U. (2006). Sesamin is one of the major precursors of mammalian lignans in sesame seed (Sesamum indicum) as observed in vitro and in rats. The Journal of nutrition, 136(4), 906-912. Daniel, K. T. (2005). The whole soy story: The dark side of America’s favorite health food. New Trends Pub.